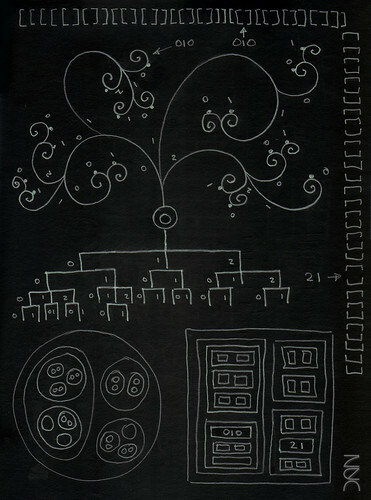 Hierarchies or branches of the single hierarchy ;-) show up when things are organized or categorized. Our folders and files on the computer and indeed Web servers and Web pages are all stored in hierarchies. Any nesting is hierarchies so Universe > Galaxy Cluster > Galaxy > Solar System > Planet > Continent > etc. right down to house > room > dresser > drawer > pant > pocket > material > molecule > atom > electron > quark > string. In life we have trees and most if not all things that grow. Time causes us to choose options that branch before us. Taxonomy in teaching, invention claims in patents, table of contents in books, classification of animals, etc. All these and more are hierarchical. I would guess that hierarchies are at the root of every domain - each called something different and represented in different ways. So if you recognize a hierarchy in your field, please leave a comment. In programming, the latest paradigm is Object Oriented Programming (OOP) and this is all hierarchy based and levels are accessed via dot syntax: parent.child. This is how all the latest games that model life are created. In XML, the current standard way in the information age to share data between companies and software is hierarchy based with nodes. 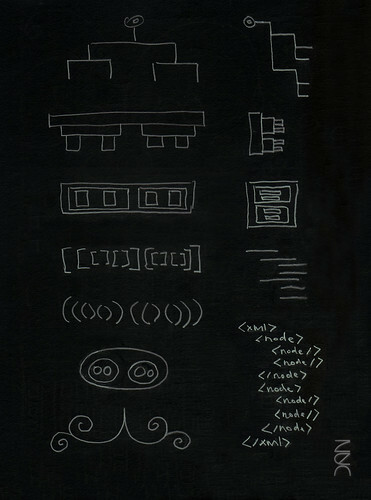 OOP and XML is the cumulation of thought from the most logical people in the world en mass modeling life. This is a mass philosophy born out of trial and error and few people if any think of it this way! Nodism is the synthesis and analysis of this phenomena.